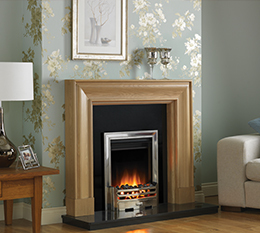 Welcome to Martin James Fireplaces, Nottingham’s premier fireplace showroom with extensive displays spanning two floors. We have been trading in Nottingham and the greater Nottinghamshire area for over 30 years, steadily building up a solid and enviable reputation for excellence and customer care, resulting in hundreds of satisfied clients and subsequently their families and friends usually pay us a visit having seen our outstanding workmanship and cleanliness. Trading in Nottingham for over three decades gives us a huge advantage in the local area, owing to our extensive knowledge of most of the property types in the locality. 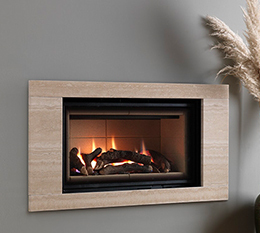 We also benefit from backing by some of the Fireplace industry’s finest manufacturers and importers, giving us the opportunity to offer you, the customer, an array of top quality products at highly competitive prices. 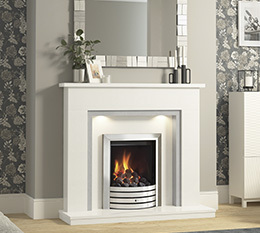 We are main agents for Gazco, the exclusive Elgin & Hall, Wonderfire Premier and Laura Ashley range, Eko Fires, Be-Modern, Straxgas, Stovax, Dimplex, Flamerite and Legend to name a few. 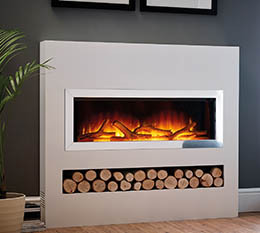 If you want to see Nottingham's REAL largest fireplace display including gas fires, electric fires, Portuguese and Aegean Limestone, Marble, Granite and solid hardwood surrounds made to your own bespoke requirements drop in and have a browse around our extensive 2 floor showrooms at your leisure. Park safely in our large, free car park and have a chat with our expert showroom staff and make your purchase safe in the knowledge you are buying from a reputable company established in Nottingham in 1977. 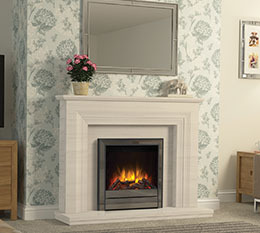 Make sure you check back regularly for latest news and special offers from Martin James Fireplaces. We update this website with new content and important information about our products and services on a frequent basis.